SNAPNGO, Three Wheel Light Weight Scooter | Greenpath Electric Bikes | Electric Bikes For Sale in NYC and Brooklyn, NY. Free Delivery in the US! FREE SHIPPING ON EVERY BIKE – FINANCING AVAILABLE! Folds easily to fit in your back seat or trunk. Easy set it up, step on the foot pedal to raise the t-bar and snap it into running position, insert the seat post to attach the seat. You’re ready to go! 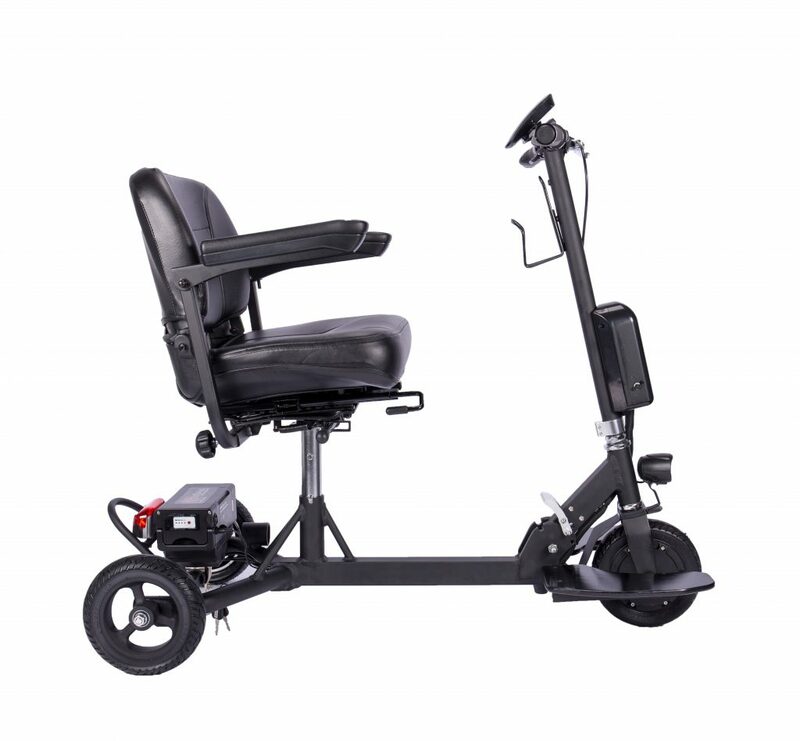 Highly maneuverable and easy to drive. Right thumb control to go forward, the left thumb control for reverse. Release of the throttle engages an electronic motor brake for smooth stopping and precision control. The mechanical rear brakes will ensure additional stopping power when needed. When darkness falls, front and rear LED lights help keep you safe. Find out more about this electric bike! Contact us to schedule a test drive so you can try out this electric bike youself. ...or use our convenient contact form below. We look forward to getting you the right electric bike for you! This checkbox helps prevent robotic spam messages.